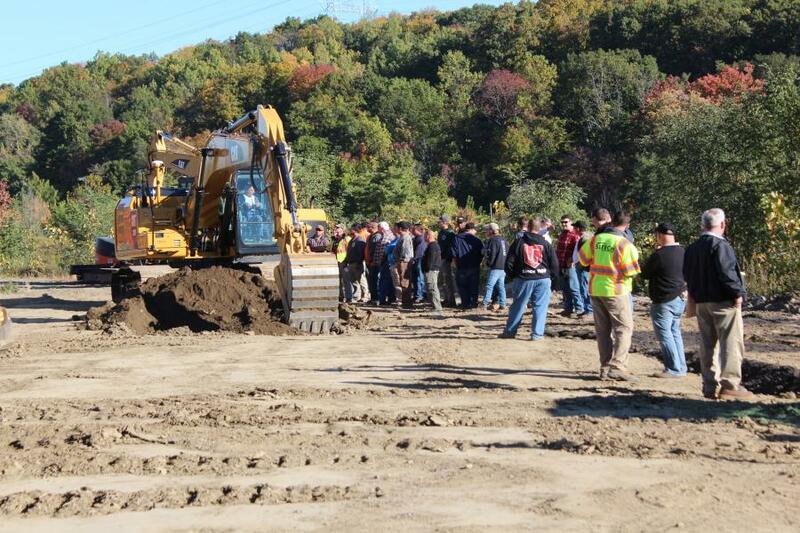 On Oct. 15, operating professionals from the International Union of Operating Engineers Local 14-14B took advantage of the opportunity to operate the latest machine control technology offered by Caterpillar and Trimble at Local 14’s training facility in Montrose, N.Y.
On Oct. 15, operating professionals from the International Union of Operating Engineers Local 14-14B took advantage of the opportunity to operate the latest machine control technology offered by Caterpillar and Trimble at Local 14's training facility in Montrose, N.Y.
Local dealers H.O. 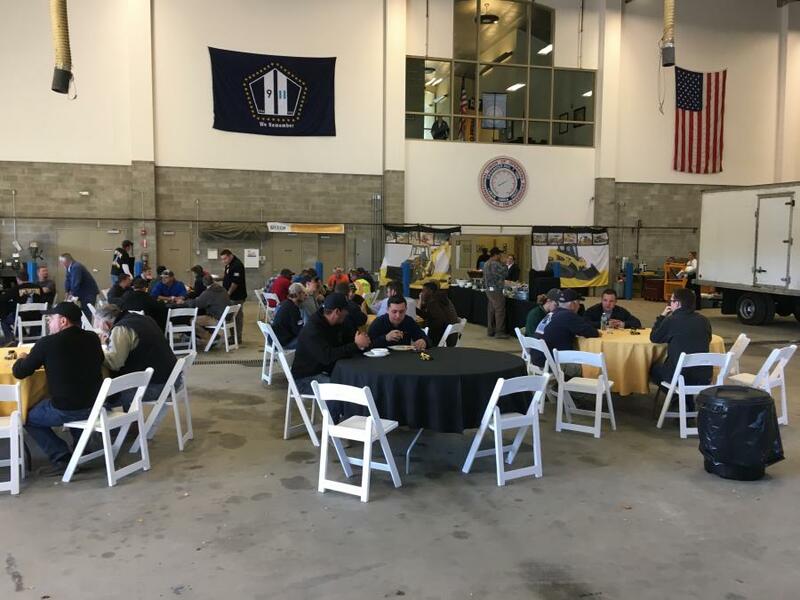 Penn Machinery Co. and Sitech Metro Northeast provided representatives and product specialists to assist attendees with the various products on display, which are currently used on job sites. “Educating operators about our products is a mutually beneficial undertaking that helps us provide the very best option for the contractors we serve,” said Marty Callahan, technology solutions, paving specialist and eBusiness sales manager of H.O. Penn. The education of operators also is important to the leadership of Local 14. Tom Gordon, Richard Streeter and Michael Gonoud, co-directors of the journey person and apprenticeship training program of Local 14, work together to further educate operators in order to increase safety on job sites. Union members — from apprentice trainees to full journeymen — come to the facility to enhance their skills and obtain industry certifications. The facility is an accredited training site and offers a number of certifications ranging from NCCCO mobile crane certifications and tower crane certification to NYC OSHA certifications and NYC approved rigging, scaffolding and forklift certifications. 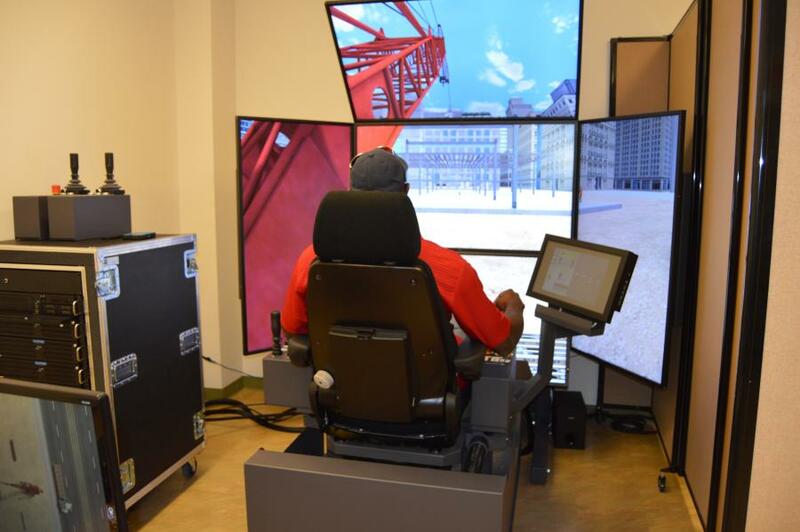 In addition, the training facility will soon offer articulating boom crane certification. 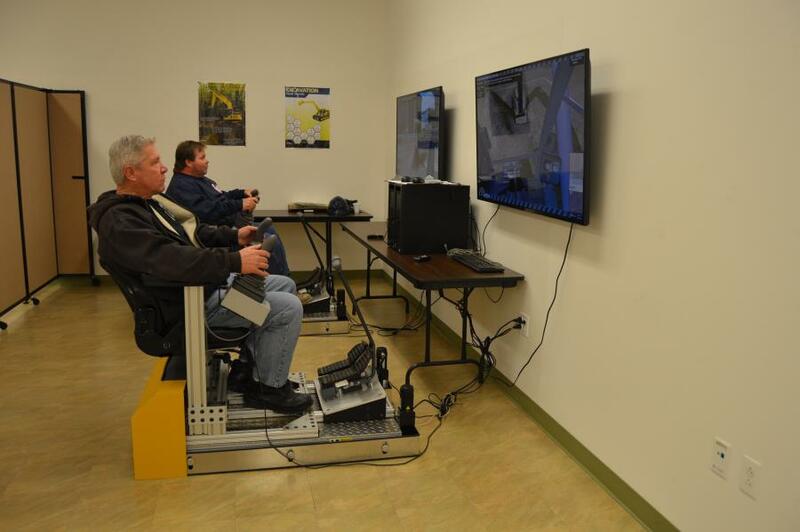 Classrooms of the advanced facility are equipped with smart board technology and other features, including excavator simulators and a Vortex crane simulator, which offers life-like visuals to create a realistic experience for the operator. 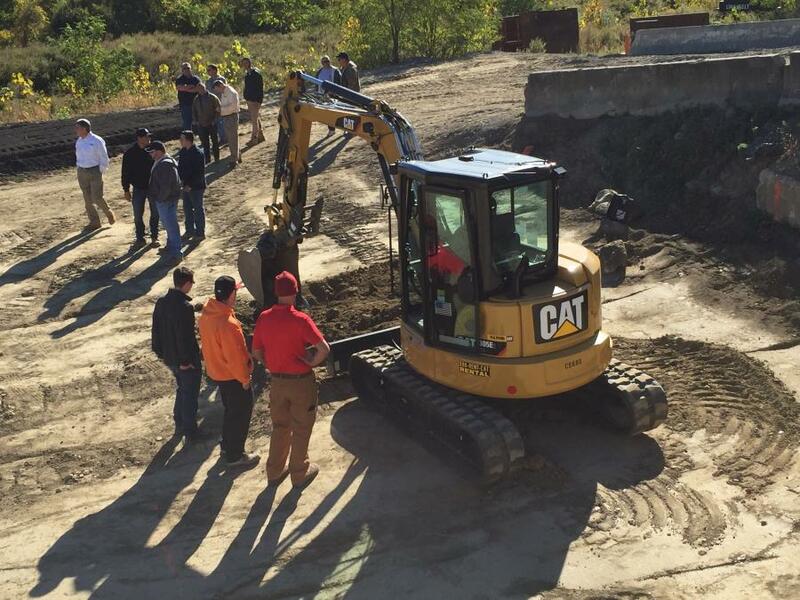 Students also have the opportunity to operate excavators, backhoes and more located on site. Local 14 purchases these machines from local dealers, including H.O. Penn, and these purchases are funded entirely by union members. 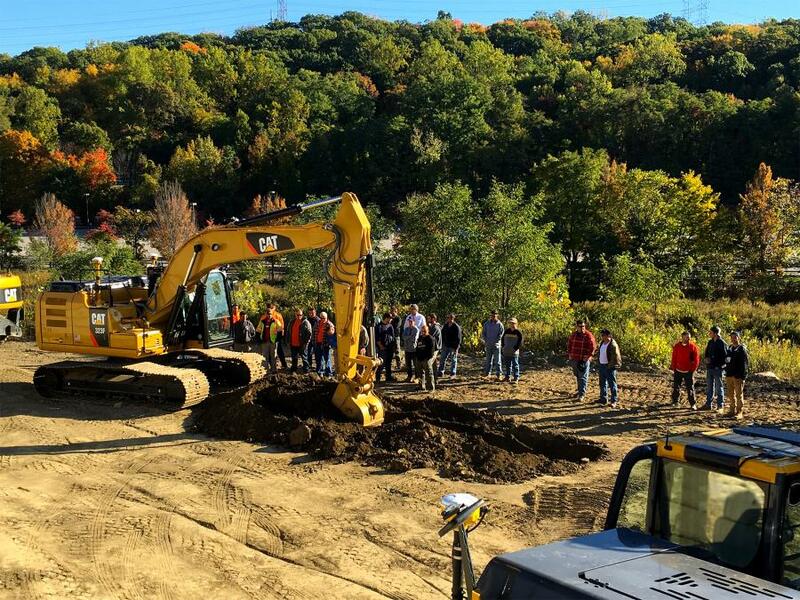 Gordon said the event was a wonderful opportunity to learn even more about the machine-integrated technology on job sites, including the Trimble GPS grade control. 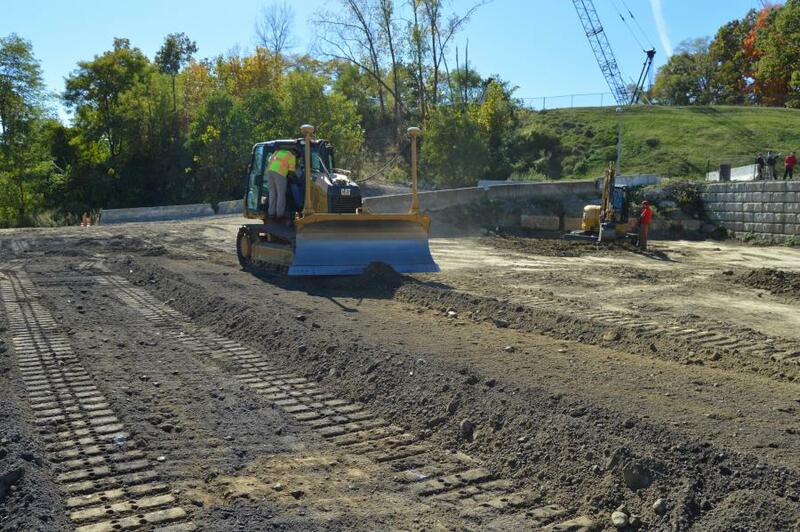 According to Callahan, Trimble job site surface modeling technology provides highly productive, integrated and innovative solutions for the entire job site. Trimble site positioning systems help contactors take control of the job site, perform tasks more productively, meet tighter specifications and avoid rework. 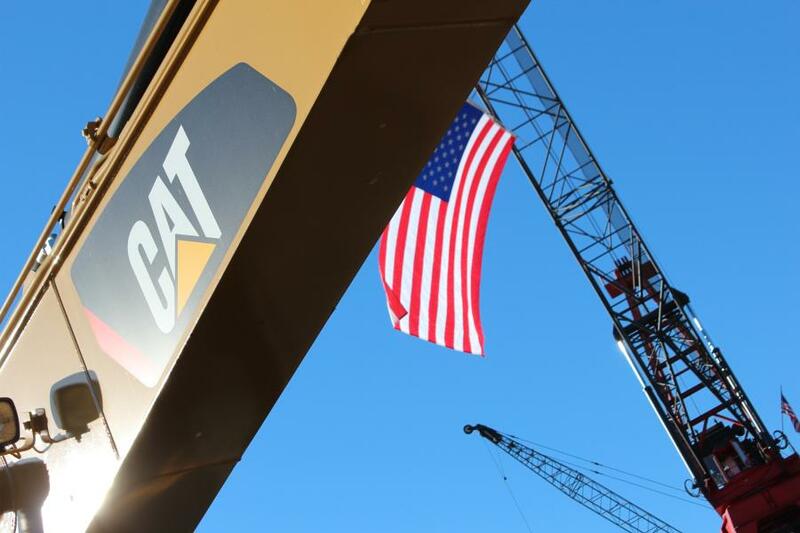 Overall, Gordon said that the Caterpillar and Sitech event was incredibly successful. For more information, visit www.hopenn.com.